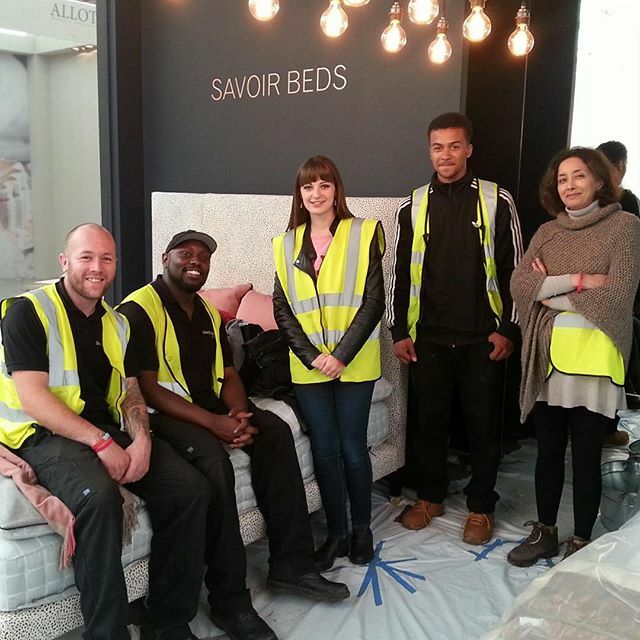 With Decorex kicking off tomorrow, we've been busy getting our stunning stand up to scratch! Showcasing a strikingly stark stand, we are planning to play with clever lighting and optical illusions - contrasting a seemingly minimal backdrop with the luxury and detail of our beds. Presenting two new and very different designs, we are really hoping to stun our visitors - below is a sneaky preview of what's to come - but you'll have to sit tight a little longer for full pictures! Watch this space! 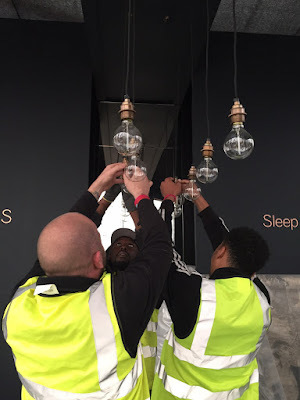 How many Savoir staff to screw in a lightbulb? Firstly, our luxurious snow leopard Harlech bed features a subtle silhouette, contrasted with a leopard print design. 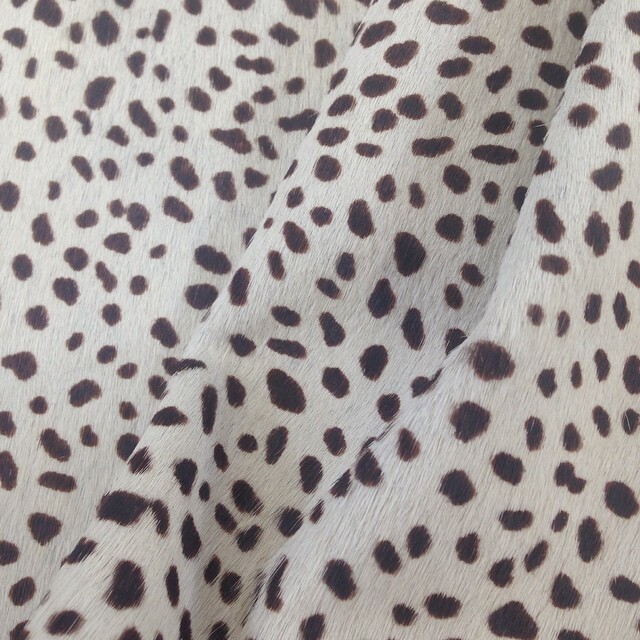 Adopting a hair-on-hide fabric by Alma Leather, we think this design will perfectly illustrate the luxury in natural, traditional materials. Also on display, the sophisticated Bacchus print Felix bed is a nod to the classic, featuring a stunning digital print by Zardi + Zardi. Showcasing Bacchus, God of Wine & Agriculture, the bed nods to the luxury to be found in hand-sourced, natural materials - like the Argentinian horsetail used in each of our beds! 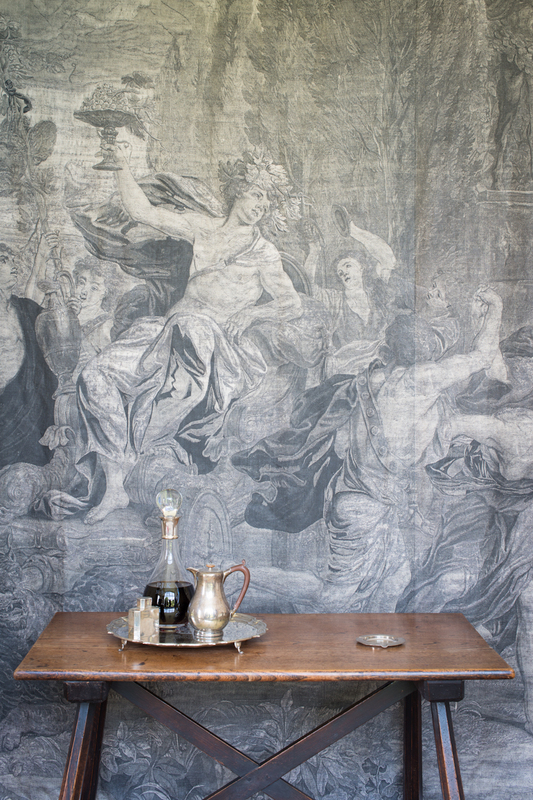 We can't wait to see lots of you at Decorex next week - we hope you like our latest designs!